Whatever your moving needs, choose Meathead Movers as your trusted Bakersfield movers. Our professionally trained student-athlete movers and moving concierge will be with you for the entirety of your move, getting you safely into your Bakersfield home. When you arrive here, you’ll find yourself in a vibrant, lively, historical community with a population of nearly 350,000. The city has grown quickly, nearly tripling in the last 30 years, which should tell you something about all this city has to offer. And when you choose Meathead Movers as your Bakersfield movers to transport your treasured household belongings, you can rest assured knowing that your move will be a success. Situated at the southern end of the historic San Joaquin Valley, the economy of Bakersfield is deeply rooted in agriculture. Kern County is among the top five growing regions in the nation, producing citrus, carrots, alfalfa, cotton, roses, grapes, and almonds. Petroleum is big here too. Nearly ten percent of America’s domestic oil is pumped from this fertile land. But the town isn’t all business. Country music fans know the city as home to Merle Haggard and Buck Owens, whose version of “Streets of Bakersfield” made the city a household name. Sports fans have their choice of three minor league teams: Bakersfield Blaze (baseball), Bakersfield Condors (hockey), and Bakersfield Jam (basketball). Those who prefer to play sports rather than watch them won’t be disappointed either. Lake Ming attracts water skiers, fishermen, and sailors. The Sierra Nevada Mountains to the east of the city lure backcountry hikers and rock climbers, and the majestic Giant Sequoia trees of Sequoia National Forest awe nature-lovers of all kinds. When you choose Meathead Movers, you can relax knowing that your possessions will make it to your new home safely. That’s because our strong, clean-cut student-athlete movers—from Bakersfield College and California State University Bakersfield—are professionally trained and certified. And that means they are respectful, efficient, and the best the industry has to offer. Whether you are looking for Bakersfield movers to move you from another city or are moving within Bakersfield, you will find Meathead Movers ready to transport your precious possessions professionally, promptly, safely, and affordably. In addition to superior Bakersfield moving services we also offer reliable packing, storage, on-site relocations, and our distinctive moving concierge service. 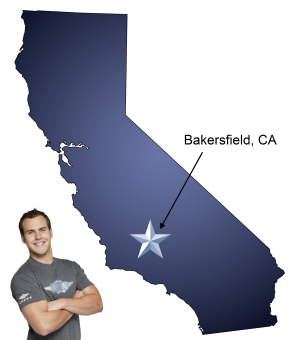 In fact, you can see what your neighbors have to say about our Bakersfield movers! With our 100% satisfaction guarantee, the only thing you have to lose is the stress that comes from moving! Call our Bakersfield office today for a free, competitive quote and experience our revolutionary approach to the moving industry. *Words and music by Homer Joy. © SONY/ATV SONGS D/B/A Tree Publishing Co.
Moving to Bakersfield? Here are some helpful resources. I appreciate Meathead Movers prompt service. The three crew members were polite, and very accommodating to place my furnishings just in the right spot. They made sure to remove all packing products as they worked. They were thoughtful, humorous and very hard working young men. I will recommend Meathead Movers to my family and friends. Thank you.